Printed ads related to original Nintendo Game Boy. Disclaimer and Thanks for the sources! This stuff is not mine. I do not take any credit for that. 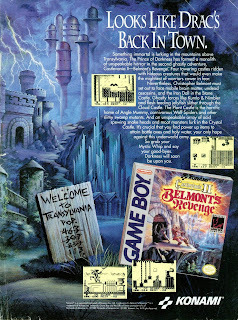 I just gather Game Boy related ads together for my own usage. If I find anything from web I post it up here. Just for collecting Game Boy Ads around internet. I try to link every source I get this stuff from. If you notice that something posted up here has no reference to original source just let me know in comments, I add reference link and name then. Big Thanks for those people who have done hard work by scanning and uploading those materials I'm sharing here!